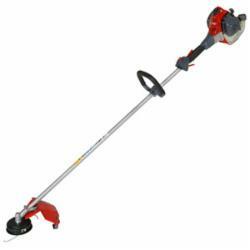 The Cobra BC260C is an extremely robust Brushcutter with loop handle. It's powerful 26cc 2-stroke engine provides faster acceleration, more power, added torque and increased fuel efficiency. Incredibly compact, incredibly lightweight, and incredibly powerful. These brushcutters offer the quality level of the professional models plus the advantages of power tools designed for home users. When the jobs call for frequent use and prolonged running, the manoeuvrability, reliability and practicality of these models are must-have features. For home users who need a machine to tackle demanding and sustained workloads. These are models that perform well even under stress, without ever falling short on operator convenience. 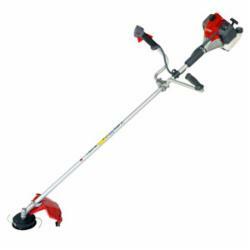 Ideal also for finishing operations in the garden or cutting limited areas of grass.